Leslie Flint was born in 1911 in a Salvation Army home in the London district of Hackney. When seven years old he discovers that he is different from the other boys. He sees spirits of the deceased. 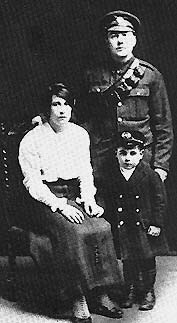 But he learns to his dismay that his gift is little appreciated (see photo as a young boy with parents). When he is seventeen years old he attends a seance. He receives remarkable messages. A medium in Munich relays a message to him after having received his address from the spirit. Then at a seance he falls into trance himself and passes on evidential messages to those present. He is not keen at his age to develop his gift and enters a career as a teacher of ballroom dancing. He enjoys his profession and forgets about spiritualism. Then he meets again a former sitter of his home-circle, Edith Mundin. She persuades him to become a medium at her private circle. His mediumship develops rapidly. Their association ends in marriage. Leslie hears, when going to the cinema, voices whisper in the dark. He is not the only one; people around him hiss for silence. When this goes on he is forced to leave the cinema. The voices are the first manifestations of the direct voice phenomenon. 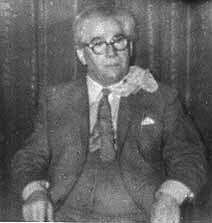 He develops the gift of physical mediumship and becomes a frequently seen medium at other spiritualistic circles. 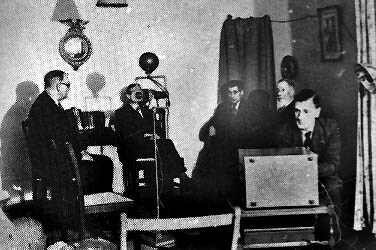 In 1935 he gives the first public demonstration. This is followed by others in halls holding up to 2000 people. Leslie Flint always fully cooperated with researchers who wanted to test him. Psychologists, psychiatrists, scientists, ventriloquists, electronic experts and even investigators posing as sitters, all had their go at him. Click on icon for photo of a 1948 S.P.R.test. 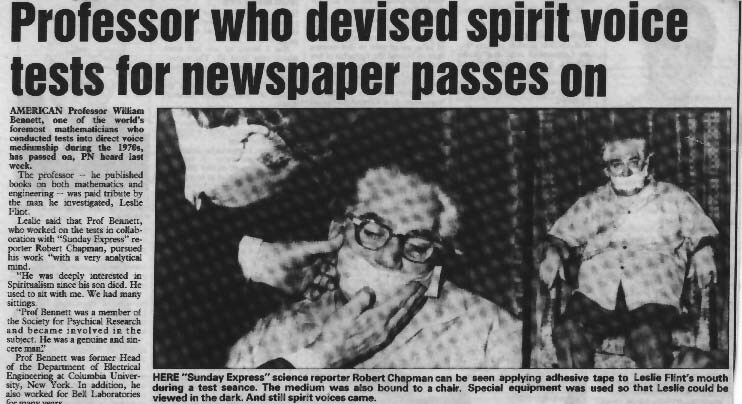 Click on icon for photo of Flint "gagged and bound" during 1972 test. Click on icon for newspaper article on test. Click for photo of a test in 1972 with members of S.P.R. 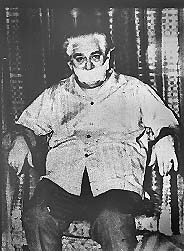 He was bound to a chair, his mouth sealed with tape. At other experiments he wore a throat microphone to detect possible vibrations in his vocal organs. When he was observed through an infra-red viewer, what looked like a ball of mist was seen over his shoulder. This is supposed to be ectoplasm, an ethereal substance coming from both the medium and the sitters, which has a similar function to the human voice box. The communicators explain that they concentrate their thoughts and attempt to speak as they once did on earth. Their thoughts are so translated into audible vibrations. Flint is not the only medium with such a gift, but he is certainly the last one to have demonstrated it with such clarity for almost half a century. Leslie is said to be assisted by a team of spirits "on the other side". Mickey (see psychic portrait), his main guide, was a newspaper boy who said of himself that he was run over by a truck when he was eleven years old. He had a talent for putting sitters at ease with his cheerful boyish voice. At the end of a sitting he always popped up to say good-bye. 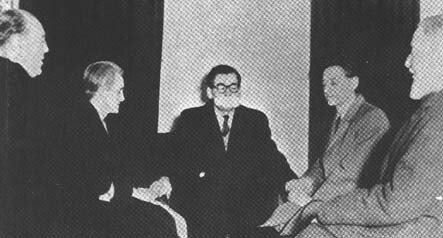 In the many years of his mediumship Flint welcomed thousands of visitors at his house at Westbourne Terrace, London. They listened in amazement to a multitude of voices. All went away with the unmistakable conviction of having conversed with the spirit of a relative or friend, who was living in a better world, which was very real to them. None of sitters is known to have caught Leslie in any fraudulent act during all these years. For over fifty years he sat in the darkness of his room bringing light through his mediumship, knowledge to the eager, comfort to the distressed, joy and laughter to his friends. 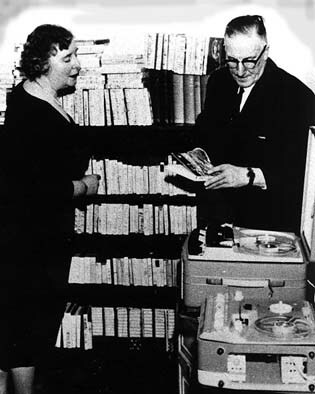 This site is dedicated to the memory of George Woods and Betty Greene, who painstakingly recorded direct voices on their tape recorder and made it their lifetime work to copy them for everyone who asked for it without ulterior financial motives (see photograph of them at work). All the communications would have been of personal interest only, were it not that they have been recorded, first on wire or paper tapes, later on better quality tapes. Sidney George Woods sat with Leslie Flint from 1946 onwards. In 1953 he was joined by Mrs. Betty Greene who gave him invaluable assistance. You are going to have some remarkable communications. And I suggest you keep these contacts going regularly to build up the power, and to make possible this link which has been deliberately arranged for your tapes. The tapes you record give us the opportunity to reach many people in all parts of the world.... We shall bring various souls from various spheres to give talks and lectures. We need willing helpers on your side. This marked the beginning of their self-sacrificing work which continued for seventeen years until Mrs. Greene's death in 1975. George Woods (1890-1983) was to keep the work of distributing cassettes going in spite of his age for eight years more until he joined her. In Great Britain these recordings were once well-known. Thirteen radio and television programmes were devoted to them. Now that the main protagonists have left us the phenomenon and the remarkable recordings thereof are in danger of being forgotten, were it not for the Leslie Flint Trust. 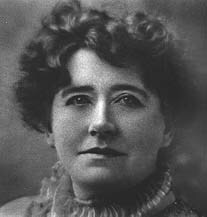 Via Internet, Ellen Terry's words have been really fulfilled: these communications have become available to millions of people all over the globe. Your browser does not support the audio tag. "Here is complete unity and harmony and love. Here is truly brotherhood. Here is the wisdom of all time expressed in all manner of ways, by all manner of peoples, irrespective of any earthly ideas of class, or creed, or colour." Opening date this page: 25 March 1998, updated 23 August 2018.